V. Winter. The World Needs More Computer Science! What to do? In Prepoceedings of the 2014 Blended Workshop on Digital Media, Tools, and Approaches in Teaching and Their Added Value. October 2014. V. Winter, J. Guerrero, C. Reinke, and J. T. Perry. Java Core API Migration: Challenges and Techniques. In Proceedings of the 2014 International Conference on Software Engineering Research and Practice (SERP). July 2014. V. Winter, J. Mccoy, D. Montoya, and G. Wickstrom. Analysis and Optimization of Paradigm Microprograms. In Proceedings of the 2014 International Conference on Embedded Systems and Applications (ESA). July 2014. V. Winter. Bricklayer: An Authentic Introduction to the Functional Programming Language SML. In Electronic Proceedings in Theoretical Computer Science (EPTCS). 2014. V. Winter, C. Reinke, and J. Guerrero. Using Program Transformation, Annotation, and Reflection to Certify a Java Type Resolution Function. In Proceedings of the 15th IEEE International Symposium on High Assurance Systems Engineering (HASE)., January 2014. V. Winter, B. Cukic, T. Khoshgoftaar, K. Mori, R. Paul, C. Perez-Leguizamo, S. Sedigh, J. C. Sloan, M. Vouk, and I.-L. Yen. High Consequence Systems and Semantic Computing. International Journal of Semantic Computing (IJSC), 07(3)., September 2013. V. Winter, C. Reinke, and J. Guerrero. Sextant: A Tool to Specify and Visualize Software Metrics for Java Source-Code. In Proceedings of the 4th International Workshop on Emerging Trends in Software Metrics (WETSoM)., May 2013. V. Winter, J. Guerrero, A. James, and C. Reinke. Linking Syntactic and Semantic Models of Java Source Code within a Program Transformation System. In Proceedings of the 14th IEEE International Symposium on High Assurance Systems Engineering (HASE), October 2012. V. Winter, J. Guerrero, C. Reinke, and J. Perry. Monarch: A High-Assurance Java-to-java (J2j) Source-code Migrator. In Proceedings of the 13th IEEE International Symposium on High Assurance Systems Engineering (HASE), November 2011. V. Winter. Filling the Cracks in the Dam - Shortcomings of Software Development and Analysis Tools in the High-Consequence Arena. Position paper in Proceedings of the 13th IEEE International Symposium on High Assurance Systems Engineering (HASE), November 2011. V. Winter, H. Siy, J. McCoy, B. Farkas, G. Wickstrom, D. Demming, J. Perry, S. Srinivasan. Incorporating Standard Java Libraries into the Design of Embedded Systems. In Ke Cai,editor, Java in Academia and Research. iConcept Press, 2011. V. Winter, J. Perry, H. Siy, S. Srinivasan, B. Farkas, and J. McCoy. The Tyranny of the Vital Few: The Pareto Principle in Language Design. In Journal of Software Engineering and Applications (JSEA), volume 4, pages 146 - 155, March 2011. A. Mametjanov and V. Winter and R. Laemmel. More Precise Typing of Rewrite Strategies. Eleventh International Workshop on Language Descriptions, Tools, and Applications (LDTA 2011), March 2011. J. T. Perry, V. Winter, H. Siy, S. Srinivasan, B. D. Farkas, and J. A. McCoy. The Diffiulties of Type Resolution Algorithms. Technical Report SAND2010-8745, Sandia National Laboratories, December 2010. V. Winter, R. Lämmel, and C. Ramakrishnan. The Fathom System. Technical Report 656, ETH Zürich, Computer Systems Institute, December 2009. D. Resler and V. L. Winter. A Higher-Order Strategy for Eliminating Common Subexpressions. In the Journal of Computer Languages, Systems, and Structures (CLSS), 35:341-364, 2009. V. Winter, G. Kniesel, H. Siy, and M. Zand. Making Aspect-Orientation Accessible through Syntax-based Language Composition. IET Software, 3(3):291-237, 2009. E. Lindahl and V. L. Winter. Pattern Matching Information Flow using GADT. In Proceedings of the 3rd International Conference on Information Warfare and Security (ICIW), pages 255--262. ACI, 2008. F. Fraij and V. L. Winter. A Suggested Generic Intelligent Tutoring Framework. In Proceedings of the International Conference on Modelling and Simulation (MS), pages 178--182, 2008. V. L. Winter, A. Mametjanov, S. E. Morrison, J. A. McCoy, and G. L. Wickstrom. Transformation-based Library Adaptation for Embedded Systems. In Proceedings of the 10th IEEE International Symposium on High Assurance Systems Engineering (HASE), November 2007. Victor L. Winter and Azamat Mametjanov. Generative Programming Techniques for Java Library Migration. In Proceedings of the Sixth International Conference on Generative Programming and Component Engineering (GPCE), October 2007. V. Winter, H. Siy, M. Zand, and G. Kniesel. A Prototype of a Generic Weaver. Technical Report UNO2007-10, Department of Computer Science, Univerity of Nebraska at Omaha, August 2007. Victor L. Winter. Stack-based Strategic Control. In Preproceedings of the Seventh International Workshop on Reduction Stategies in Rewriting and Programming, June 2007. Harvey Siy, Prasanna Aryal, Victor Winter, and Mansour Zand. Aspectual Support for Specifying Requirements in Software Product Lines. In Proceedings of Early Aspects Workshop in Aspect-Oriented Requirements Engineering and Architecture Design, May 2007. Yan Wu, Harvey Siy, Mansour Zand, and Victor Winter. Construction of Ontology-Based Software Repositories by Text Mining. In International Conference on Computational Science (ICCS), volume 4489 (Part III) of LNCS, 2007. W. L. Sousan, V. L. Winter, M. Zand, and H. Siy. ERTSAL: A Prototype of a Domain-Specific Aspect Language for Analysis for Embedded Real-Time Systems. In the Second Workshop on Domain Specific Aspect Languages (DSAL), 2007. V. Winter and D. Kapur. Towards dynamic partitioning of states of a reactive system: Train controller case study. In F. Kordon and J. Sztipanovits, editors, Reliable Systems on Unreliable Networked Platforms (12th Monterey Workshop), volume 4322 of LNCS, pages 47–69, 2007. V. Winter Model-driven Transformation-based Generation of Java Stress Tests. Electronic Notes in Theoretical Computer Science (ENTCS), 174(1):99-114, April 2007. V. Winter. Program transformation: What, how, why? In Encyclopedia of Computer Science and Engineering. Wiley and Sons, 2006. V. L. Winter, C. Scalzo, A. Jain, B. Kucera, and A. Mametjanov. Comprehension of generative techniques. In Software Transformation Systems Workshop (STS), 2006. V. Winter, J. Beranek, F. Fraij, S. Roach, and G. Wickstrom. A Transformational Perspective into the Core of an Abstract Class Loader for the SSP. ACM Trans. on Embedded Computing Sys., 5(4):773-818, 2006. V. L. Winter, H. Siy, M. Zand, and P. R. Aryal. Aspect Traceability through Invertible Weaving. In Proceedings of Early Aspects: Traceability of Aspects in the Early Life Cycle, March 2006. V. Winter and J. Beranek. Program Transformation Using HATS 1.84. In R. Lämmel, J. Saraiva, and J. Visser, editors, Generative and Transformatilnal Techniques in Software Engineering (GTTSE), volume 4143 of LNCS, pages 378-396, 2006. V. L. Winter, J. Beranek, A. Mametjanov, F. Fraij, S. Roach, and G. Wickstrom. A Transformational Overview of the Core Functionality of an Abstract Class Loader for the SSP. In Proceedings of the Tenth IEEE International Workshop on Object-oriented Real-time Dependable Systems (WORDS), 2005. H. Siy, M. Zand, and V. Winter. The role of aspects in domain engineering. In Aspects and Software Product Lines (An Early Aspects Workshop at SPLC-Europe), 2005. V. Winter. Strategy Construction in the Higher-Order Framework of TL. Electronic Notes in Theoretical Computer Science (ENTCS), 124:149–170, March 2005. V. L. Winter, F. Kordon and M. Lemoine. Formal Methods for Embedded Distributed Systems: How to master the complexity, chapter The BART Case Study, pages 3 - 22, Kluwer Academic Publishers, 2004. G. Wickstrom, V. L. Winter, J. Beranek, F. Fraij, and S. Roach. An Abstract Classloader for the SSP and its Implementation in TL. Technical Report SAND2004-3225, Sandia National Laboratories, August 2004. G. L. Wickstrom, J. Davis, S. E. Morrison, S. Roach, and V. L. Winter. The SSP: An example of high-assurance system engineering. In Proceedings of the 8th IEEE International Symposium on High Assurance Systems Engineering (HASE), pages 167-177, 2004. V. Winter and M. Subramaniam. The Transient Combinator, Higher-order Strategies, and the Distributed Data Problem. Science of Computer Programming (Special Issue on Program Transformation), 52:165-212, 2004. V. Winter, S. Roach, and F. Fraij. Higher-order strategic programming: A road to software assurance. In The 8th IASTED International Conference on Software Engineering and Applications (SEA), pages 350-355, 2004. V. Winter, D. Kapur, and G. Fuehrer. Formal Methods for Embedded Distributed Systems: How to master the complexity, chapter Formal Specification and Refinement of a Safe Train Control Function, pages 25-64. Kluwer Academic Publishers, 2004. V. Winter. Strategy application, observability, and the choice combinator. Technical Report SAND2004-0871, Sandia National Laboratories, March 2004. V. Winter, S. Roach, and F. Fraij. Dependable software through higher-order strategic programming. Technical Report SAND2004-0868, Sandia National Laboratories, March 2004. V. Winter and M. Subramaniam. Higher-order transformation and the distributed data problem. Technical Report SAND2003-4587, Sandia National Laboratories, December 2003. V. L. Winter, S. Roach, and G. Wickstrom. Transformation-oriented Programming: A development methodology for high assurance software. In M. Zelkowitz, editor, Advances in Computers: Highly Dependable Software, volume 58, pages 47-116, 2003. A. Azadmanesh, V. Winter, and B. Ghahramani. Authenticated Consensus with Diagnosis. In The 34th Annual Symposium on Performance Evaluation of Computer and Telecommunication Systems (SCSC'02), 2002. V. Winter. Artificial Intelligence. In Flynn and Roger, editors. Computer Sciences (Macmillan Science Library). Macmillan Reference USA, 2002. V. Winter. Virtual Reality. In Flynn and Roger, editors. 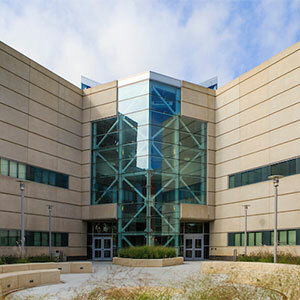 Computer Sciences (Macmillan Science Library). Macmillan Reference USA, 2002. F. B. Bastani, I.-L. Yen, J. L. K. Rao, and V. Winter. Design for Independent Composition and Evaluation of High-confidence Embedded Software Systems. In Proceedings of the Monterey Workshop, 2001. V. L. Winter, D. Desovski, and B. Cukic. Virtual environment modeling for requirements validation of high consequence systems. In Proceedings of the Fifth International Symposium on Requirements Engineering, 2001. D. Kapur, V. L. Winter, and R. S. Berg. Designing a controller for a multi-train multi-track system. Electronic Notes in Theoretical Computer Science, 50(1):65–79, August 2001. A. de Groot, J. Hooman, F. Kordon, E. Paviot-Adet, I. Mounier, M. Lemoine, G. Gaudiere, V. Winter and D. Kapur. A Survey: Applying Formal Methods to a Software Intensive System. Proceedings of the 6th International Symposium on High Assurance Systems Engineering (HASE), pages 55-64, 2001. Victor Winter, Raymond Berg and Jim Ringland. Bay Area Rapid Transit District Advance Automated Train Control System Case Study Description. In Winter and Bhattacharya, editors, High Integrity Software, pages 115-135, 2001. Deepak Kapur and Victor Winter. On the Construction of a Domain Language for a Class of Reactive Systems. In Winter and Bhattacharya, editors, High Integrity Software, pages 169-196, 2001. Victor Winter, Deepak Kapur, and Ray Berg. A Refinement-based Approach for Developing Software Controllers for Train Systems. In Winter and Bhattacharya, editors, High Integrity Software, pages 197-240, 2001. Victor Winter and Tom Caudell. Using Virtual Reality to Validate System Models. In Winter and Bhattacharya, editors, High Integrity Software, pages 301-320, 2001. V. Winter. A synchronous paradigm for modeling stable reactive systems. In Proceedings of the 4th International Symposium on High Assurance Systems Engineering (HASE), pages 257-265, 1999. V. L. Winter. An Overview of HATS: A Language Independent High Assurance Transformation System. In proceedings of the IEEE Symposium on Application-Specific Systems and Software Engineering and Technology (ASSET), pages 222-229, March, 1999. V. L. Winter. Program Transformation in HATS. In Proceedings of the Software Transformation Systems (STS) Workshop (part of ICSE), pages 26-32, 1999. J. M. Boyle, R. D. Resler and V. L. Winter. Do You Trust Your Compiler? IEEE Computer, 32(5):65-73, 1999. F. B. Bastani, V. Winter and I-Ling Yen. Dependability of Relational Safety-Critical Programs. Fast Abstract in Proceedings of the 10th International Symposium on Software Reliability Engineering (ISSRE), pages 47-48, 1999. V. L. Winter, R. S. Berg, and L. J. Dalton. Risk-based System Refinement In Proceedings of the 16th International System Safety Conference (ISSC), pages 61-69, 1998. R. S. Berg and V. L. Winter. Risk Assessment and Integrity in System Design. In Proceedings of the 4th International Conference on Engineering of Complex Computer Systems (ICECCS), pages 115-120, 1998. R. S. Berg and V. L. Winter. Use of Integrity Techniques and Risk Assessment in System Design. In Proceedings of the IEEE Workshop on Application-Specific Software Engineering and Technology (ASSET), pages 60-62, 1998. V. L. Winter, J. M. Covan, and L. J. Dalton. Passive safety in high consequence systems. IEEE Computer, 31(4):35-36, 1998. V. L. Winter. Software Construction via Abstraction, Synthesis, and Transformation (AST). In Proceedings of the IEEE High Integrity Software Conference, pages 30-39, 1997. J. M. Boyle, T. J. Harmer, and V. L. Winter. The TAMPR Program Transformation System: Simplifying the Development of Numerical Software. In E. Arge, A. M. Bruaset, and H. P. Langtangen, editors, Modern Software Tools for Scientific Computing, pages 353-372. Birkhäuser Boston, Inc., 1997. J. M. Boyle, T. J. Harmer, and V. L. Winter. The TAMPR Program Transformation System: Design and Applications. Proceedings of the Durham Transformation Workshop, 1996. V. L. Winter and J. M. Boyle. Proving Refinement Transformations Using Extended Denotational Semantics. Proceedings of the Durham Transformation Workshop, 1996. V. L. Winter and J. M. Boyle. Proving Refinement Transformations for Deriving High-Assurance Software. In Proceedings of the IEEE High-Assurance Systems Engineering Workshop, pages 68 - 77, 1996. V. L. Winter. Visualization and Animation as a Technique to Assist in the Construction of High Assurance Software. Proceedings of the CADE Workshop on Visual Reasoning, pages 11 - 17, 1996. A. R. Yakhnis, V. R. Yakhnis, and V. L. Winter. Software with Partial Functions: Automating Correctness Proofs via Nonstrict Explicit Domains. Proceedings of the CADE Workshop on Mechanization of Partial Functions, 1996. V. L. Winter. Proving the Correctness of Program Transformations. PhD thesis, University of New Mexico, 1994. V. L. Winter, G. H. Chisholm, B. T. Smith, and A. J. Wojcik. A Formal Model for Verification of Abstract Properties. Technical Report ANL-92/10, Argonne National Laboratory, 1992. I was born in Honolulu Hawaii where I lived for the first two years of my life. After a short stop in San Francisco and Switzerland my family ended up in Albuquerque New Mexico which I called home until my 2001 move to Omaha. My father was a professor in the Business School at the University of New Mexico. In addition to this, he often taught and did consulting in Europe in the summers. Because of this, I traveled a lot while I was growing up. In addition to summers in Europe my family spent one year in India and one year in Puerto Rico. This was during the time my father was on sabbatical leave from the university. In addition to computer science, I studied piano performance as an undergraduate and graduate. During my college years I also played in several rock bands and did a fair amount of writing and recording in small garage studios. On May 12, 2001 I married a wonderful woman named Jennifer and for various reasons both professional as well as personal, we decided to move to the mid-west. I ran the interview gauntlet and Omaha captured our hearts, a town which we now call home.